Since 2014, the Patient Protection and Affordable Care Act (PPACA) has required most individuals to maintain health insurance coverage or potentially to pay a penalty for noncompliance. Specifically, most individuals are required to maintain minimum essential coverage for themselves and their dependents. Minimum essential coverage is a term defined in the ACA and its implementing regulations and includes most private and public coverage (e.g., employer-sponsored coverage, individual coverage, Medicare, and Medicaid, among others). Some individuals are exempt from the mandate and the penalty, and others may receive financial assistance to help them pay for the cost of health insurance coverage and the costs associated with using health care services. This book describes the individual mandate as established under the Patient Protection and Affordable Care Act. 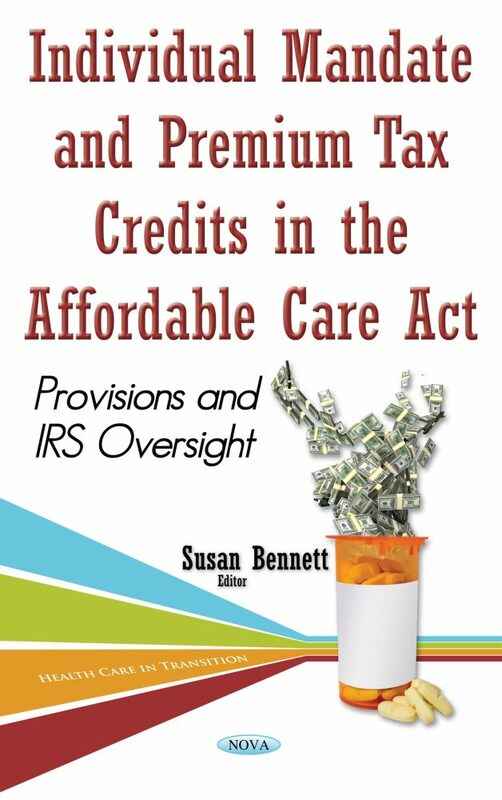 It also discusses the ACA reporting requirements designed, in part, to assist individuals in providing evidence of having met the mandate; describes the eligibility criteria applicable to the premium tax credits and cost-sharing subsidies, and the calculation method for the credit and subsidy amounts; highlights selected issues addressed in the final regulation and guidance on premium credits and indicates the status of implementation, where relevant data is available; examines IRS’s implementation of these PPACA requirements; and IRS efforts to collaborate with key external stakeholders.